Summer is upon us again! It’s that time of the year for pool parties, family vacations and barbecues with friends and neighbors. Summer is also the peak time for walk team fundraising, as many Down syndrome walks are right around the corner. Team fundraisers have a key role in supporting Down syndrome walks. In fact, our research reports show that of the teams who held mini team fundraisers last year, the events on average raised $1500 in additional donations towards the team’s goal. 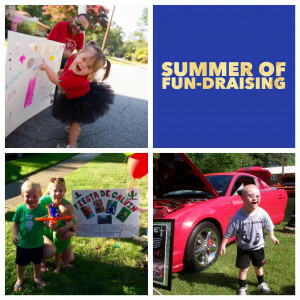 How are you raising funds for your Down syndrome walk team? We want to hear from you! From Wednesday, July 27th to Friday, August 19th, send us a photo from one of your team fundraisers and a short description of how the event impacts your team for the chance to win a $250 donation to your team from ds-connex. Team fundraisers can come in all shapes and sizes, including golf outings, pie in the face contests, garage sales, kickball tournaments and more. The sky is the limit! Photo submissions can be emailed to ds-connex at contests@ds-connex.org. Images can be from a fundraising event for this year’s walk or last year’s walk event. Did you enter last year? We welcome participants in last year’s contest to re-enter with a new photo! 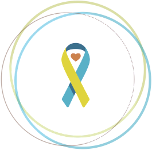 All submitted fundraising ideas will be shared on the ds-connex Facebook page with the goal of inspiring the Down syndrome community with creative fundraising ideas for team captains across the country. The contest will end at 3:00 p.m. EST on Friday, August 19th. One winner will be randomly selected to win a $250 donation from ds-connex to their Down syndrome walk team. We can’t wait to see your fundraising ideas!